International Telecommunication Union in Geneva recently published the new report 'Measuring the Information Society 2010'. Chapter 3 measuring the digital divide has also a section on time distance analysis (pp. 43-52). 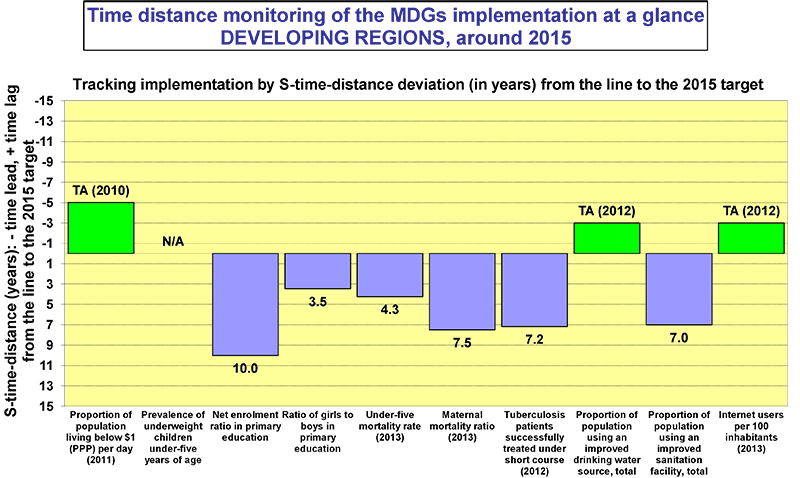 It is also useful in comparisons across indicators from different indicators and domains (Chart 3.6). ITU and SICENTER evaluated the digital divide in time from benchmark Sweden and on pages 50 and 51 ITU managed to visually present the results for each of the 200 countries. The S-time-distance is now treated as an alternative way of looking at digital divide at the world level, but it can be useful also for analysing digital divide at the national, regional, sectoral, gender and socio-economic groups. By analogy, disparities in the world (and for other levels) for other indicators and for different domains can be better understood when taking into account both static and time distance dimensions of disparities.